Technology is making every aspect of our lives easier, including checking whether your vehicle is insured. So, what is askMID, and how can it help you? AskMID is an online service that lets you check the Motor Insurance Database (MID) for accurate information on the status of your vehicle’s insurance cover. The Motor Insurance Database is the UK Government’s way of making sure that every vehicle on the road is fully covered and legally drivable. It’s all managed by the Motor Insurers’ Bureau. They were founded in 1946 and now act on behalf of the government to provide compensation to any insured driver who is a victim of an accident caused by an uninsured vehicle or driver. This is the primary role of the Motor Insurance Database – but what else can it be used for? What is askMID used for? The Motor Insurance Database can be accessed by third parties like yourself, insurers or the authorities to check the insurance status of any vehicle. This is the most accurate check you can perform. The Motor Insurance Database receives up to around 10,000 updates an hour, making it the best option to check a vehicle’s insurance validity from minute to minute. In fact, the police use the motor insurance database alongside their automatic number plate recognition to stop and seize more than 500 uninsured vehicles every day – so making sure your van’s covered could save you lost work, fines and even criminal charges. 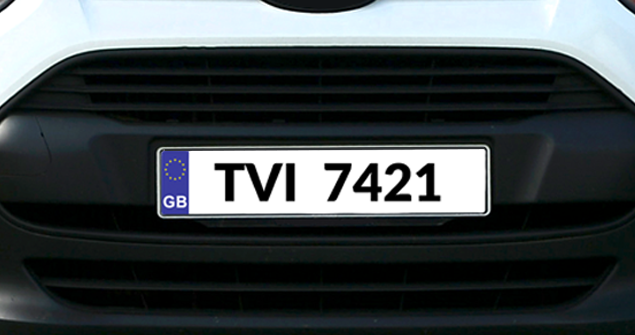 All you will need to use the askMID service is your van’s (or any vehicle’s) registration number. Then, visit www.ownvehicle.askmid.com, input your registration number and agree to the terms of service, and you can check your vehicle’s insurance status. Just press the ‘check this vehicle’ button, and you will be taken to a screen that either tells you that ‘yes, the vehicle shows as insured’ in green or ‘no, the vehicle is showing as uninsured’ in red – it’s that easy, and only takes a few seconds. 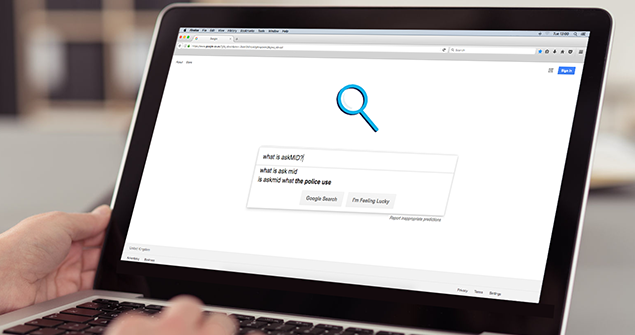 You don’t have to worry about insurers finding out about your search, or your future insurance premiums being affected – your search history is kept entirely private. The whole process is quick, easy and completely free – but what if your vehicle isn’t the one you’re worried about? Accidents happen, and luckily the askMID service can help you out if you’re involved in an incident with another driver and you need to learn the status of their insurance – very helpful if the other driver is being withholding, and you need to get back on the road fast. Just like a search on your own vehicle’s registration, the process is kept private and the other vehicle’s owner will not be alerted to your search. For an enquiry charge of just four pounds, you can personally check with the MID about a third party – just visit www.askmid.com/askmidenquiry.aspx with the registration number you need to check and the date of the accident – it’s as simple as that. Checked the MID and concerned about your insurance coverage? The good news is that you’re already on an insurance comparison site that offers dozens of van insurance providers to help you make an informed choice about your insurance policy. Find your cheapest price in the easiest way for you, either online or by calling our team on 0330 022 7725, and make sure that your van stays valid on the MID. Next page: Should you buy a dashcam?